Home > gsxr1000 > Suzuki's new GSXR-1000! IT'S been a long time coming but at last it's here. This is the new Suzuki GSX-R1000. It's been unviled at the Eicma Milan motorcycle show as a 'prototype' but it's an open secret that this is to be launched in the second half of next year as a 2017 model. 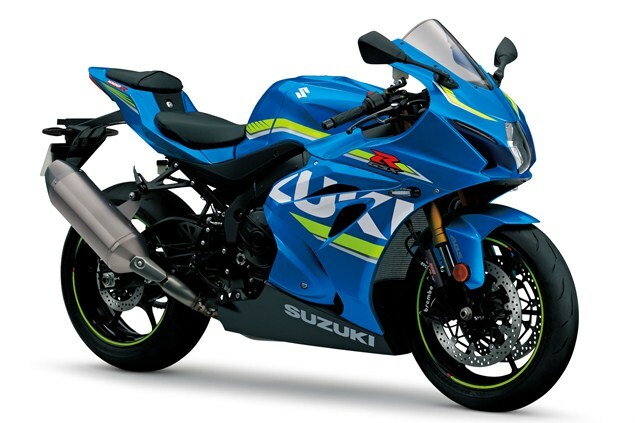 Full specifications have not been released but Suzuki says it's the 'most powerful, hardest-accelerating, cleanest-running GSX-R ever built,' as well as the most compact, aerodynamic and best-handling. It's new from the ground up according to Suzuki, with an all-new 999cc in-line-four engine and aluminium frame. The firm makes no bones about the goal: 'To regain the king of sports bikes crown' from the likes of Yamaha's R1 and Ducati's 1299 Panigale. It's got 10-level traction control, three power modes, a ride-by-wire throttle with a claimed smoother response, a quick-shifter, launch control and of course ABS. Like Ducati's 1299 Panigale S, the quick-shifter allows clutchless upshifts and downshifts, with no need to blip the throttle. The launch control system automatically limits engine speed and torque delivery while the rider holds the throttle wide open and releases the clutch. Suzuki says the rider aids package 'doesn’t require a degree in engineering to understand and doesn’t need constant adjustment by a squad of computer technicians to work'. The new engine uses variable valve timing to deliver a claimed increase in top-end with no loss in bottom-end or mid-range. It's also got secondary injectors in the top of the air box that operate at high rpm, plus servo-operated butterﬂy valves in the exhaust which open at high rpm. It's got a Showa 'Balance Free' fork and shock which Suzuki says were developed for racing and offer more consistent damping. The shock is claimed to be lighter than the old one. The bodywork is described as MotoGP-inspired, and more aerodynamic and compact than the existing model, for better handling and top speed. A new fuel tank has a 'lower top and a sleeker shape' to help the rider tuck behind the screen. The new GSX-R1000 has got LED indicators and lights front and rear. Price will presumably be revealed ones Suzuki officially decides to sell it.